Along with the six weeks of USEF-Rated Hunter/Jumper competition presented by HITS, Inc., HITS Commonwealth Park has become a ‘go-to’ destination for several other disciplines including Quarter Horses and Dressage. Rosinburg Events, LLC and Virginia Summer Dressage held their annual event at HITS Commonwealth Park for the eight year, from June 16-17, 2018, and had rave reviews about the facility. Featuring over 100 classes with different division levels, this Level 3 Dressage Competition welcomes riders of all abilities, from the introductory and opportunity levels, all the way up to riders who are competing in the Developing Prix St. Georges and Developing Grand Prix classes with horses that are going to the USEF Championships. The dressage competition also features a breeding division. The Virginia Summer Dressage at HITS Commonwealth Park is an Official Qualifying Competition for many of the 2018 USDF Championships including the Adequan FEI North American Junior and Young Rider Championships presented by Gotham North, the Markel USEF Young and the Developing Horse Dressage Championships, and the USDF Breeders Championship East Coast Series. “This is one of the last qualifying competitions for the USDF Championships,” said Janine Malone, the Owner and Show Manager of Rosinburg Events, LLC. said. The USDF Championships will be held August 21-26, 2018. The weather was just shy of perfect in Culpeper making for an exceptional weekend at HITS Commonwealth Park for the Virginia Summer Dressage Competition. 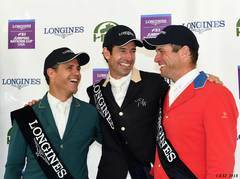 “The footing is better than it has been previously and riders did make note of that. You could tell it was new footing,” Malone noted. HITS Culpeper, a permanent show facility, features 500 permanent stalls and six competition rings laid out over 100 acres. “Having the 12x12 stalls is important because the bigger Warmbloods fit comfortably in these stalls. The air ventilation throughout the barns is good too.” With the showgrounds laid out over 100 acres, there is plenty of room for riders to hand walk and graze their horses. “The large grassy areas are important for the riders showing here. People like to be able to hand walk and graze their horses and you can do that here in Culpeper,” Malone stated. For more information on upcoming events, visit HitsShows.com. To book an event at HITS Culpeper contact Jonathan Viola. All photos courtesy of High Time Photography. HITS, Inc. produces high-quality, international-level hunter/jumper horse shows. Based in upstate New York in the Village of Saugerties, HITS has been producing shows since 1982 and is now a nationwide company with world-class circuits in California, Florida, Arizona, New York, Chicago, and Virginia. HITS hosts a total of 56 horse shows and 100 Grand Prix and several FEI events across the country year-round, including the FEI World Cup™ Jumping Thermal since 1994 and the FEI Nations Cup™ Jumping since 2014. HITS has also hosted numerous USEF and USHJA Championships, including the Junior Hunter National Championships nine times and the Zone Hunter and Jumper Championships since their inception. For more information and a complete schedule of classes and events, visit HitsShows.com. Stay connected with HITS!